Up next we have the youngest member of Hells Wives, S(k)atan! 1. 3 words to describe me: Determined, dedicated, happy. 2. Ultimate roller derby tune: Anything modern and upbeat. 3.what inspired your derby name: I just needed one quick and Axl and Silence helped me come up with one. 4. Most memorable moment: When I was awarded MVP and Jammer of the year from my teammates, was very grateful. 6. Best derby advice received: Have bigger strides in your cross overs, it helps you go faster. 7. Life motto: Life’s to short to worry about the little things. 8. Fitness regime: I go to the gym 2-3 times a week and have training 3 times a week. 9. 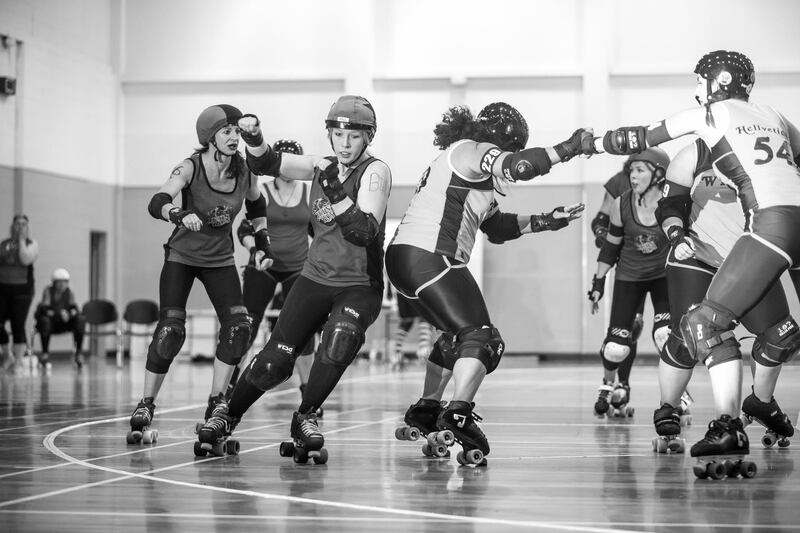 Derby goal 2015: To better my skills improve my abilities and aim for a chance to be In the Roller Derby World Cup. This entry was posted on August 14, 2015 by nnderby. It was filed under EVENTS! .